Discussion in 'Buy Sell Auction - Archives' started by mrandmrschicken, Jan 9, 2011. 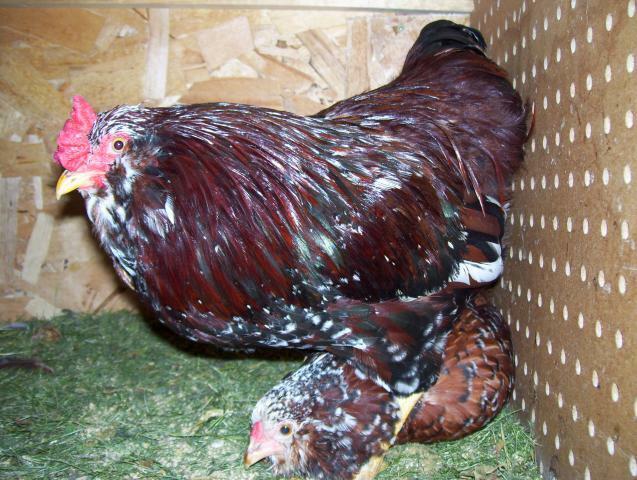 If you appreciate rare breed poultry, this is one of the rarest of the rare. Parents are show birds. Very high fertility rate. 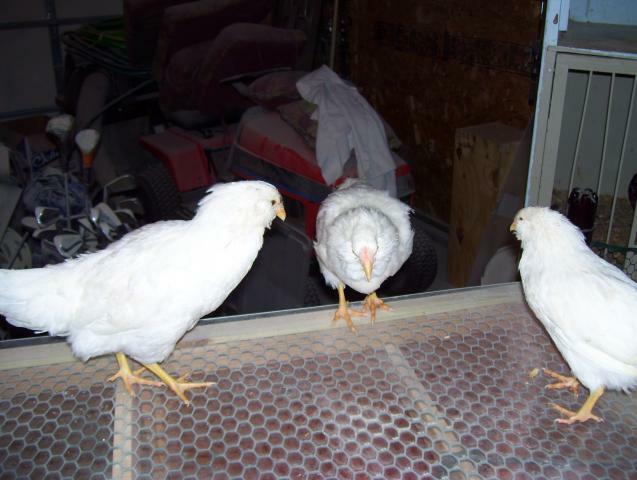 The all white birds are showable too and they may, on occassion throw an all white chick, I have three white starts. I have more pics if you would like to see more! ETA: As soon as the weather warms, slightly, (it is currently very cold here in NW Iowa), I will also be offering nearly year old pairs for sale at auction in several places. 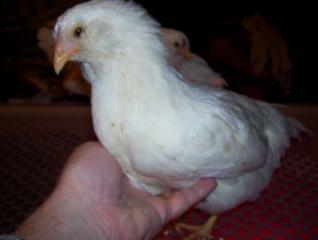 These birds will not be cheap, due to the investment I have in them, but they will be excellent quality and good breeding stock. 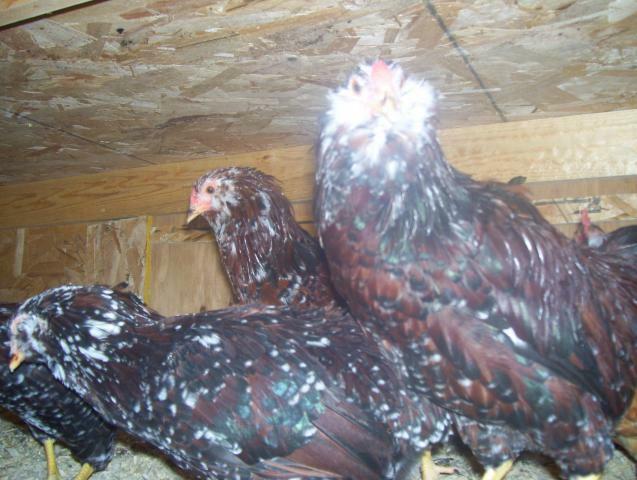 Quote:These are the current young birds, the whites in this pic are Delawares not Orloffs. These are the white trio. I have a few more pics but am having trouble getting from photobucket and can't figure out the problem??? What a cool breed. 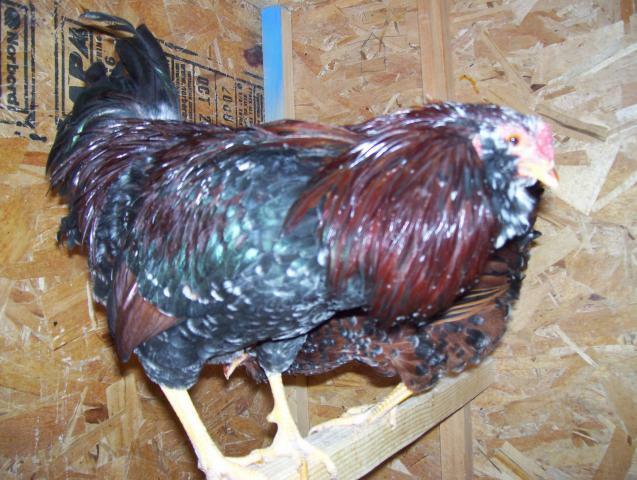 Orloffs have always been one of those breeds I would love to see more of, I have to say that they appeal to me, but our Nankins come first for chicken breeds, if we are going to have chickens...as my wife says, you only need one breed. I don't know if she remembers the Ameraucanas when she is constantly reminding me of this. But they look great...keep up the good work! 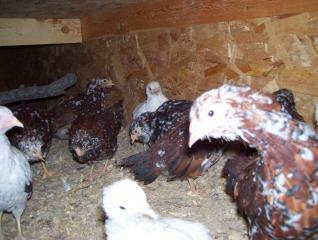 Quote:Remember they are bantams so they don't take up alot of room! Can you e-mail or pm me other pictures? Clearer shots of them? I really like the Spangled males. 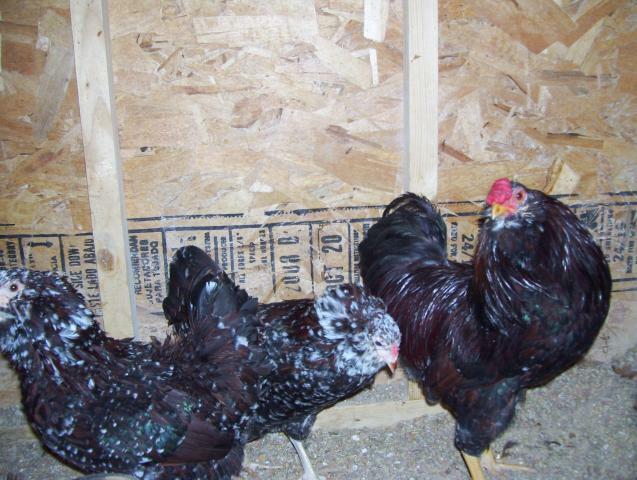 I did look them up on feathersite, deffinatly interesting. Quote:I will take some more pics tomorrow and post them, hopefully before noon. 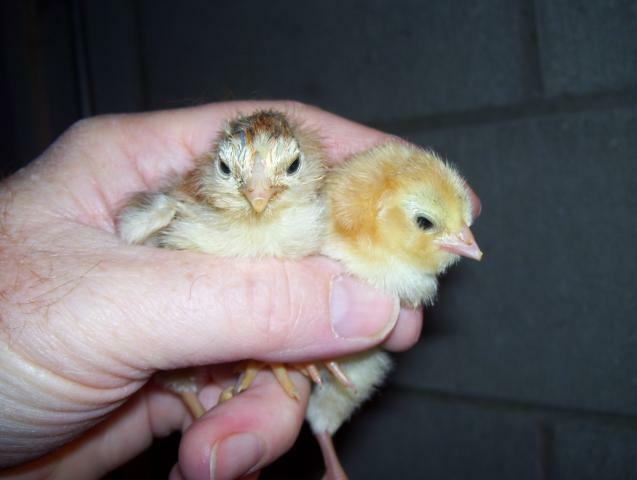 they are active birds and hard to pose but I can send some chick pics too. This is the two parent birds. (Every night, just before dark, she clays down between his legs then when it's dark he lays down next to her). It's hard to get a good shot with a flash, it bounces off the white. AWESOME pictures! I loved my standard orlys when I had them!